With the first half of January done, we’re taking a look back at the most rave-worthy looks seen on popular women across Africa. If you would just sit back and relax as we take you through a style journey that is sure to fill up your inspiration tank. Nigerian fashion designer OG Okonkwo stunned in one of her designs as she attended a wedding ceremony. She let the dress do all the talking while she held on to a chic monogram purse. Ghanian actress and movie producer, Zynnell Lydia Zuh is off to yet another great start. The style star is known to be one of the best dressed in Africa and she stepped out for the Ghana Movie Awards in yet another fashion-gasmic look. Toni Tones knows how to pull her weight when it comes to fashion. The Nigerian all-around creative is a fashion icon in the making and this two-piece Lanre Da Silva Ajayi set just further proves it. 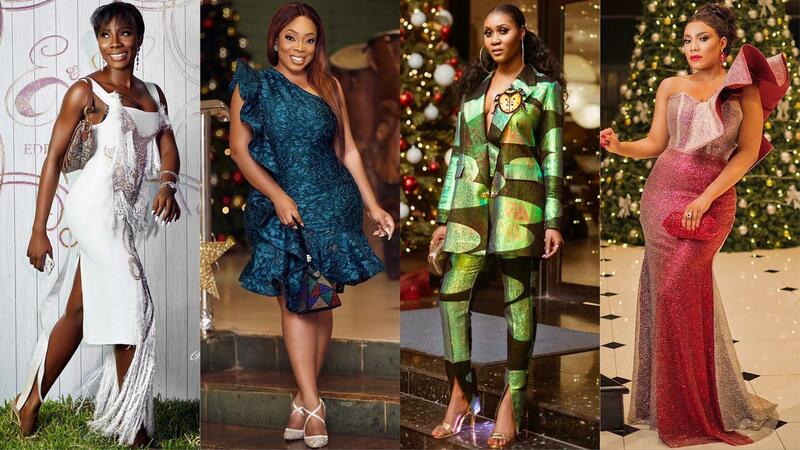 If there’s a Ghanaian celebrity who sets her own rules when it comes to style, then Moesha Babiinoti Boduong is that celeb. The beautifully endowed actress knows the best ways to dress her curves and does it so well. Whatever Toke Makinwa puts on – you know it’s going to be a hit! The Nigerian star can literally wear garbage bags and would still look super fashionable. She stepped out for an event in this delicious African print style that captures her essence and we couldn’t help falling in love. Nomzamo Mbatha knows a thing and more about fashion, and there’s no doubt about that. The South African actress is ready to conquer style any chance she gets and this native piece is just another rave-worthy statement. Nigerian actress and presenter Nancy Isime had us enamoured with this red thigh-high slit ball gown which she wore to the Levi movie premiere. The gown sits beautifully well with her frame and that pose? A winner for sure! This might be the simplest look on the list but it’s just as rave-worthy as the others. Kenya’s “Fashionable step mum,” Catherine Njeri’s signature simple and elegant style shines through this off-shoulder Ankara dress and we love!